Bentley never ceases to amaze, especially after the company joined forces with Pantone—the world leader in color exploration. The highly anticipated collaboration honors Bentley’s brand-new flagship store opening in Frankfurt, Germany. 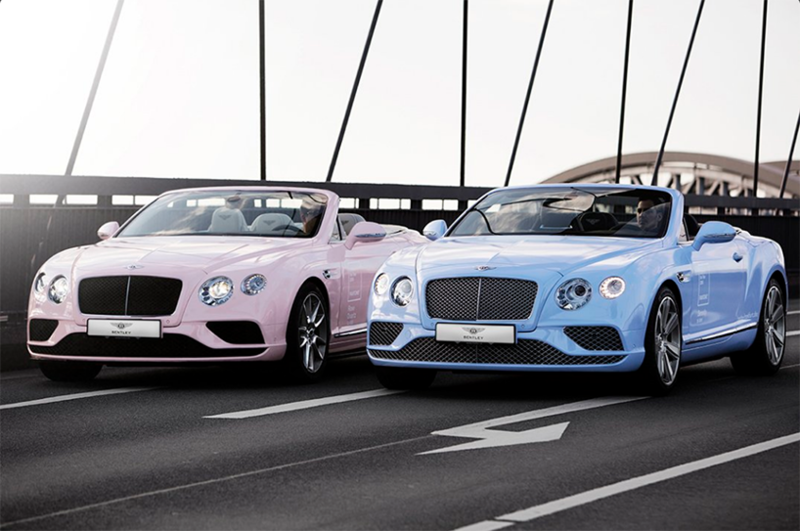 The British car company unveiled two all-new Continental V8 GTs, which don the vibrant hues of Pantone’s 2016 colors of the year: Rose Quartz and Serenity. Pantone says that the main reason they released two colors was due to the blur in gender throughout mainstream fashion companies. Rose Quartz and Serenity mixed together are the perfect combination. But the vibrant hues of the colors are not the only reason why people are fawning over the Continental V8 GTs. Bentley also redesigned the signature convertible, which now has new features including an all-new front and rear design, retractable hard top roofs and more roomy interiors for more comfortable rides. If you see one on the road, it’s okay to turn your head in envy. We sure would!